Looking forward to seeing DAY 6 & 7 Just 5 min each prompt. Miss see you. Stay with us… just 5min per prompt & you’ll be caught up to DAY 7. Looking for Day 3, 4 & according to my clock (because you know my crazy work schedule) Day 5 … Can’t wait to see your reflection. Connection to all as we and all beings on earth are made with water and therefore our lifeforce, cleansing and renewal. 💦🌊💧🌧🌦☀️🌎🌒🌱 It is home and makes us who we are 😊 Serenity! 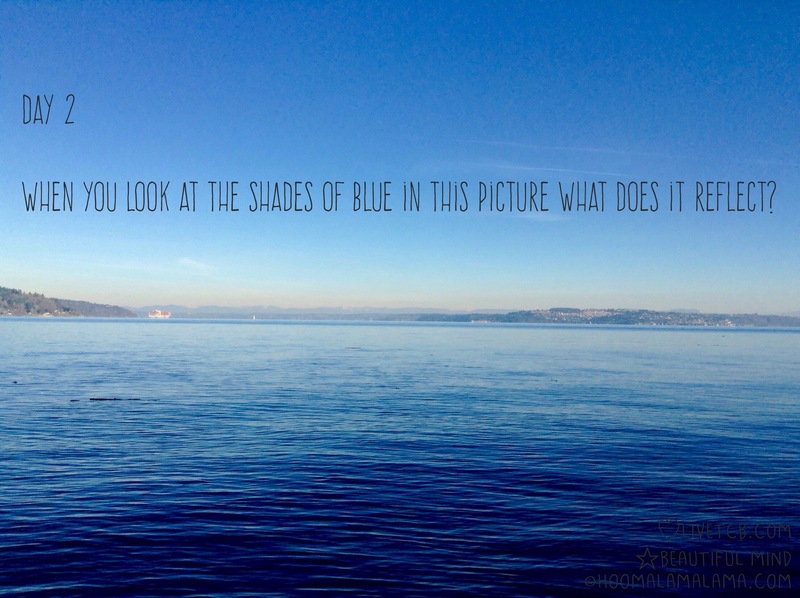 The shades of Blue in this pic reflects the coolness we need to have in life. through life’s rough and tough times, got to keep our cool. My soul. I know it sounds cheesy, but blue has always been my favorite color. It expresses every emotion I ever feel on some kevel. This picture reflects all the shades of excitement, softness, vulnerability, loneliness, and even power that I can feel at any given moment. It’s calm yet always moving.